Advertising Standards Canada regularly asks Canadians about their perceptions of advertising and the value it brings to them. Conducted in early 2015 with a representative sample of 1,052 Canadians, this research probes deeply into consumer comfort levels concerning the truth and accuracy of advertising across all media. Most Canadians continue to report that they get value from the advertising they read, hear and see. A majority of Canadians continue to have favourable impression of advertising and find advertising helpful in their daily lives. The vast majority roughly four in five are at least somewhat comfortable with the levels of truth and accuracy in ads for their favourite products and services; those that personally known to them; or those that have been recommended to them by friends. Consumers are significantly less comfortable with the levels of truth and accuracy in advertisements for products or services unfamiliar to them versus ads for products or services they know. Seven in ten Canadians are at least somewhat comfortable with the levels of truth and accuracy in ads for Canadian products. Consumers continue to rate ads in traditional media as more trustworthy than ads that appear online. However, for their favourite products and services they know and like, consumers are generally comfortable with their levels of truth and accuracy in both traditional and online media. 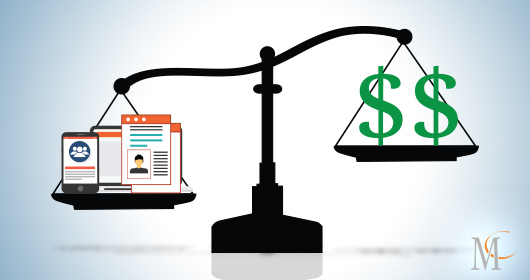 Consumers who distrust online advertising seem to perceive the whole digital world as sort of “Wild West”, and this perception applies to both online content and online advertising. When it comes to types of online ads, Canadians are more comfortable with promotional emails, search, pre-roll and banner ads than with other forms of digital advertising. Canadians clearly use their personal relationships to influence their feelings about the products they see in advertisements. And those feelings are a significant driver for how valuable advertising is now and will be in the future.